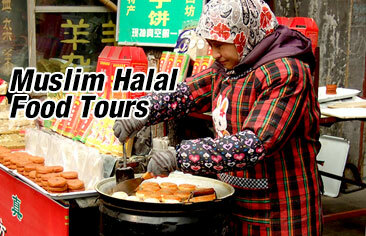 This is a Muslim tour in Sichuan, experience the local culture and customs and traditions. 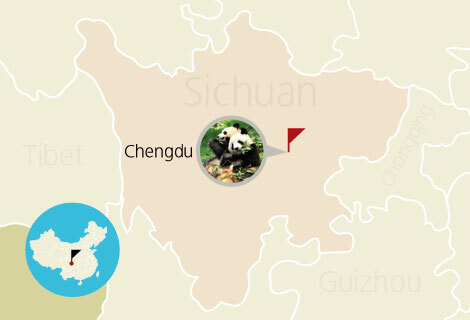 Detailed Itinerary: Pick up from Chengdu Airport then transfer to hotel for check-in. Chengdu Shuangliu International Airport: Chengdu Shuangliu International Airport (IATA: CTU, ICAO: ZUUU) is the major international airport serving Chengdu, People's Republic of China. 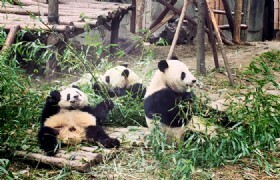 Detailed Itinerary: In the morning, visit Panda Base (include tram), after lunch, transfer to visit Kuanzhai Alley and watch Sichuan local show (including face changing show) in a chinese style teahouse while visit the alley, after that, visit silk store. 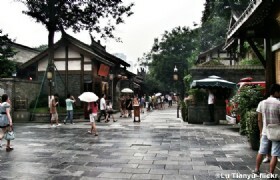 Kuan Zhai Alley: Kuan Zhai Alley is one of the three historical and cultural reserves in Chengdu, together with Daci Temple Reserve and Wenshu Monastery. Also known as Wide and Narrow Alley, Kuan Zhai Alley is actually consisted of three parallel alleys Kuan Alley, Zhai Alley and Jing Alley (Well Alley), and the grid pattern streets and courtyards formed by the three parallel alleys. Tourists can enjoy and experience the Chengdu lifestyles of leisure, laid-back, and modern, and also taste various delicious local food and snacks at the Kuan Zhai Alley. Sichuan Opera: As a renowned local opera mainly prevailing in Southwestern China's Sichuan, Yunnan, and Guizhou provinces, Sichuan Opera, whose skills are unparalleled in the world, is characterized by unique solos, refined acting, rich percussion, and talented comedians. The opera's application to be enlisted as an Intangible World Heritage is currently pending. 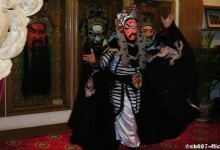 Seeing Sichuan Opera has become one of the top things to do for tourists when visiting Chengdu. 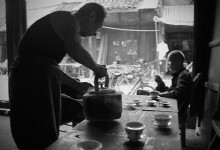 Shunxing Old Teahouse: Shunxing Old Teahouse is a famous teahouse featuring the history and culture of tea in Chengdu. 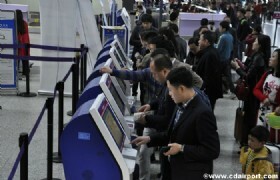 It is located on the third floor of Chengdu International Convention and Exposition Center, covering an area of 3,000 square meters. 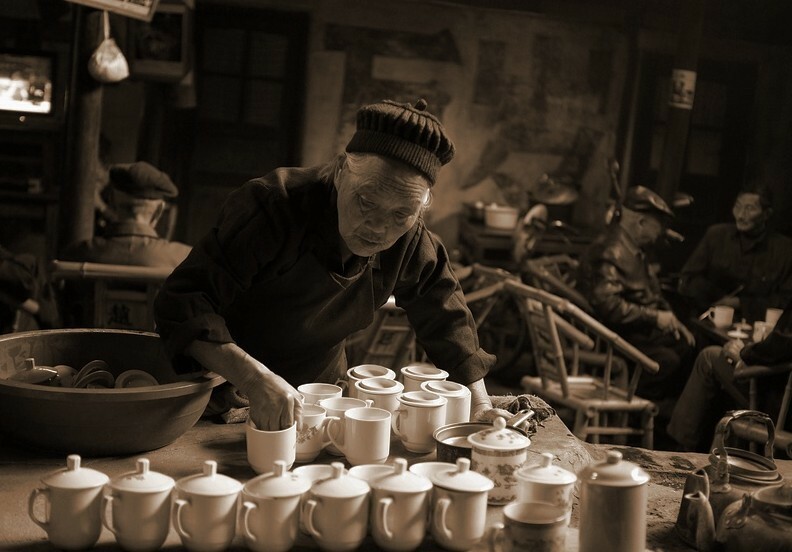 The Shunxing Old Teahouse was awarded as “Top 100 Teahouses in China” and “Celebrated Sichuan Restaurant”. Detailed Itinerary: Free and Leisure Day by your own. 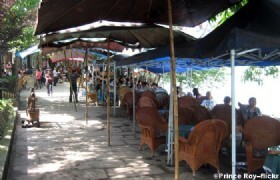 Include:lunch&dinner at Muslim restaurant,private vehicle, English speaking tour guide, entrance ticket. Huanglongxi Ancient Town: Huanglongxi Ancient Town is one of the most famous ancient historic and cultural towns in China. 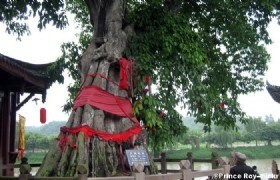 Also it is a hot tourist site for tourists when travel to Sichuan or go for a Chengdu tour. Hunaglongxi Ancient Town is located in Shuangliu County, 30 kilometers southeast of Chengdu. The Huanglong Ancient Town is quite an ancient town and it has a history of more than 1,700 years and can be dated back to the Three Kingdoms Period (220 BC – 280BC). Dujiangyan Irrigation System is located on the Mingjiang River, 45 kilometers from Chengdu. The ancient irrigation system has been present for 2,500 years and remains the one and only no dam irrigation system in the world. The irrigation was constructed under the orders of Sichuan official Li Bing during the Qin Dynasty. With no irrigation system Sichuan was often prone to floods due to the Minjiang River. The system took four years to complete and once the system was in place no more floods had occurred. Detailed Itinerary: After breakfast, transfer to airport. Tip for tour guide and driver USD10/PAX/DAY(2-5 PAX),. USD5/PAX/DAY(6-9PAX). *Guest need to stay in store at least 40min for each stop..